Aalayam - Colors, Cuisines and Cultures Inspired! 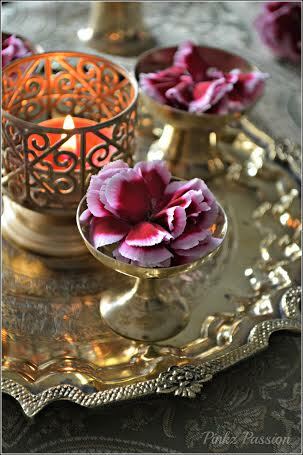 : At home this Deepavali - Inspirations from a guest blogger. 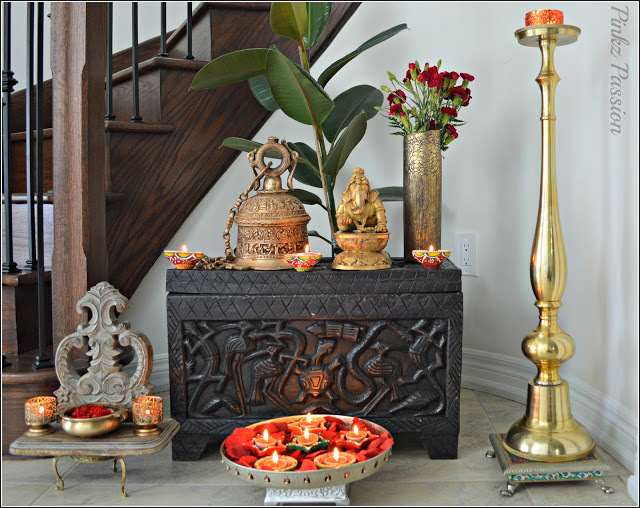 At home this Deepavali - Inspirations from a guest blogger. And it is that time of the year again- when light prevails over darkness and fills our heart with hope and optimism. It is that time of the year when we tend to reflect on ideals such as compassion and empathy in the backdrop of twinkling diyas. It is that time of the year when our homes are filled with a festive glow and our hearts are full of gratitude for life’s little blessings. And as always, we are thrilled to celebrate Diwali with you. This Deepavali, I am elated to invite Pinky of Pinkz Passionto Aalayam. 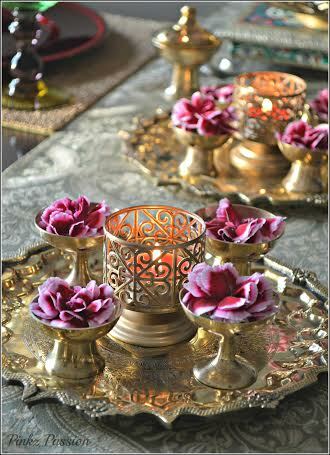 She shares her thoughts on adding a magical elegance to your Diwali décorscape with brass, flowers and twinkling diyas! 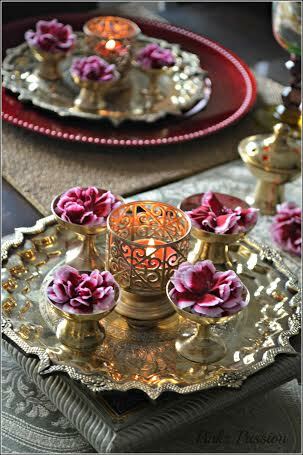 Take note dear readers and join Pinky as she rings in festive cheer with a beautiful Diwali tablescape. 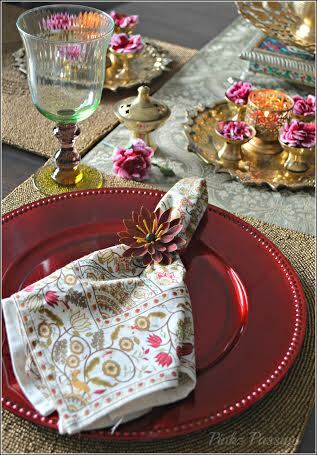 The magic of Diwali beckons and without much further ado, I present Pinky’s Diwali tablescape. 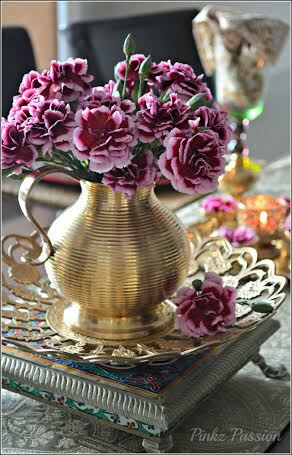 We love to bring you décor ideas that you can recreate in your home and we hope Pinky’s beautiful Diwali images will encourage you to conjure up fond Diwali memories of your own as you gather around the dinner table with friends and family. We hope you will be that intrepid hostess hosting the most recherché Diwali dinner this year and Aalayam will be your go–to resource for ideas and inspirations. I absolutely loved her sparkly and celebratory images. Thank you Pinky for showing us how to pack style and substance as we attempt to savor the warm glow of Diwali diyas. Pinky blogs at Pinkz Passion and her blog just celebrated its one year anniversary – congratulations! Pinky is an inspiring stylist and photographer and keeps a beautiful home in Toronto. You can catch her creative work and seasonal inspirations over at pinkz passion. It was my absolute pleasure to collaborate with her for this Diwali feature. Thank you Pinky! Next up is Aalayam’s annual Diwali post – the one that I love putting together just for you dear readers. 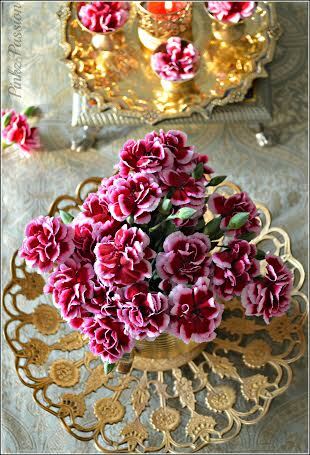 Let me inspire you to create a festive ambience at home the Aalayam way! Rustic and haveli-esque, my Diwali décor this year is influenced by the earthy flavors and variegated textures of Rajasthan! Piqued? Join me tomorrow, will you? p.s: Images in this post are the property of Pinky and subject to copyright. A big shout out to Aalayam for featuring this, it was my absolute pleasure to see my work on the blog I follow ardently, thank you. Wishing Aalayam a great success ahead. Truly divine! Super se Uper collections. Love it. Thanks again pinky for adding to our Diwali repertoire of ethnic inspirations. Great inspiration about color, cusine and culture...Thanks for your inspiratons.